On Tuesday, the Duchess of Cambridge joined the Queen for a morning of engagements at King's College London. It was the royal duo’s first ever solo engagement together, and it certainly looks as though the pair had a great day out. But there was one moment during the day you may have missed, which was spotted by eagle-eyed fans as the pair drove to the engagement. 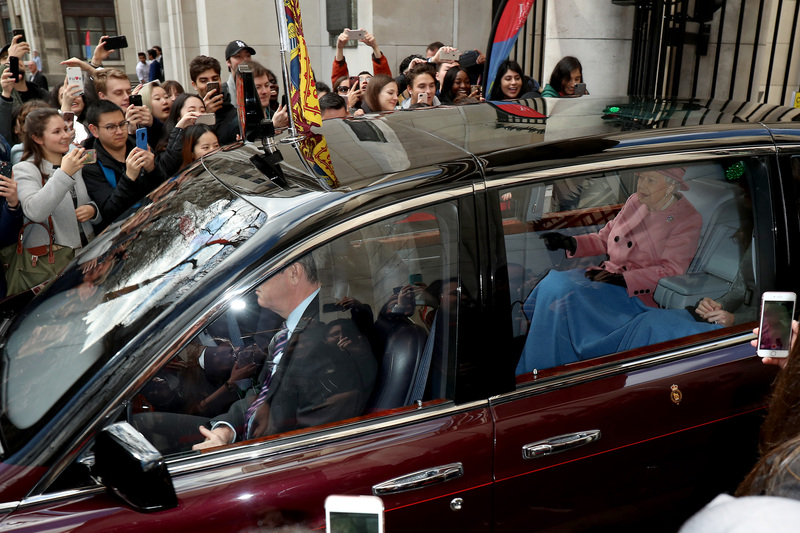 As the car Kate and the Queen arrived in pulled up, cameras picked up on the adorable fact that the pair seemed to be sharing a blanket, to shield themselves from the chilly day. The blue throw was draped over both Catherine and her grandmother-in-law’s knees, in a sweet display of friendship between the pair. It’s usually pretty normal to see the Queen travel with a blanket on her knees. She often uses the trick to stay warm in the car whilst on her way to church in Sandringham. However, it’s rare to see Catherine doing the same thing, so it looks like the Queen was keen to share her special trick with her granddaughter-in-law. It was a busy day for the Duchess of Cambridge actually, as later in the day Kensington Palace announced that she had been made royal Patron of the Foundling Museum in London. To celebrate the news, she paid a visit to the Museum, which tells the story of the Foundling Hospital, which was the first of its kind for children at risk of abandonment. During the trip, Catherine delivered an emotional speech, revealing why her new patronage is so important to her. She said, “I am passionate about improving children’s life chances and giving them opportunities, so that they can look forward to the best possible futures, fulfil their whole potential, and have the freedom to explore their creativity.